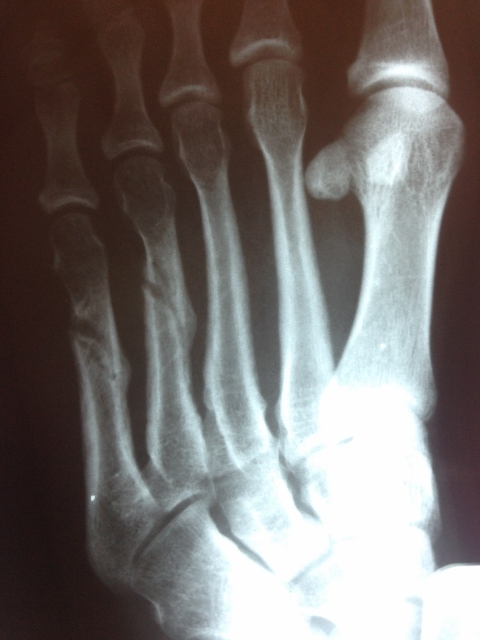 Metatarsal neck fractures are relatively common injuries. They are commonly seen in children who run barefoot and trip. They are often also seen in patients who ride on a skateboard barefooted and come off the board and hit the ground hard. These fractures can be nondisplaced or completely displaced. 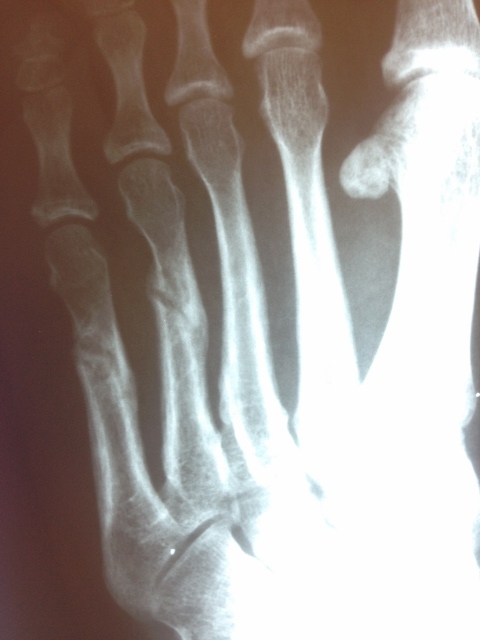 Fractures to the metatarsal necks can be one or more of the metatarsals. Signs are usually relatively obvious. 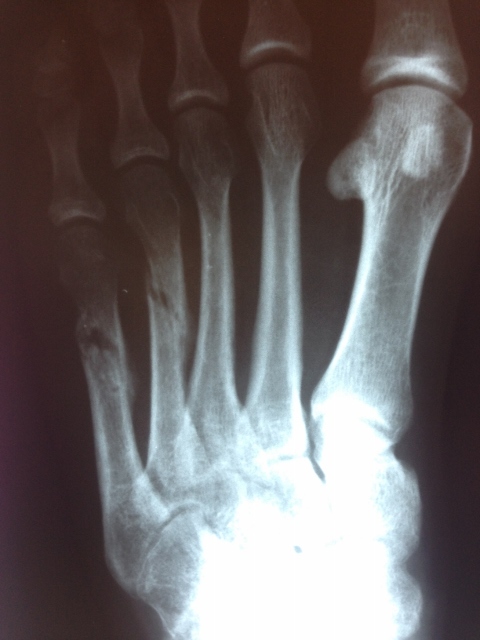 There is immediate swelling and pain to the affected metatarsal(s}. Discoloration either on the top or bottom of the foot is often present and difficulty moving the toes is also seen. The patient will have difficulty putting weight on the foot. Displaced fractures often require closed or open reduction and pin or plate fixation. 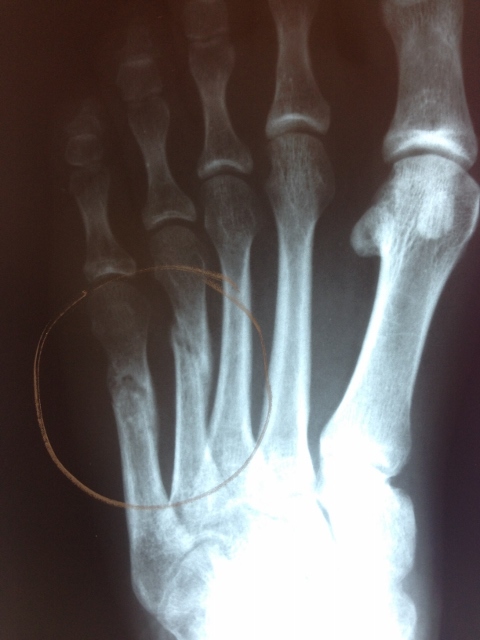 Most of these fractures can be manipulated with a minimal surgical procedure and pins placed through the skin through the fracture to keep the fracture stable during the healing process. The pins would then come out very simply and allow the patient to return back to all sports and activities. 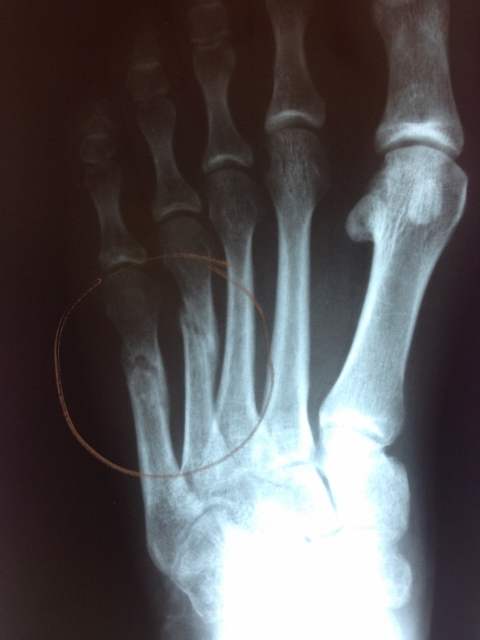 Failure to treat these injuries can cause a malunion to these fractures. This means the bone does not heal in its proper position and can cause problems with weightbearing on the ball of the foot. 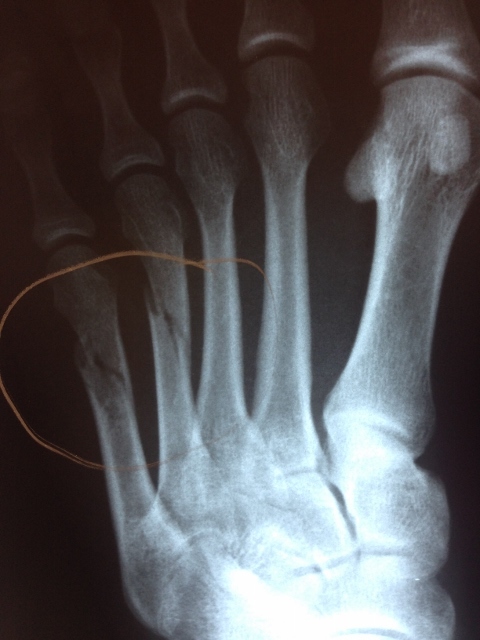 Pics Below are a Displaced 5th Metatarsal Fracture treated with Temporary Minimal Invasive Percutaneous Pin Fixation with a 3-4mm incision under the fifth toe joint. The pin is removed after 12-16 weeks. The Patient is back in a show the following day and walking without the need of crutches or immobilization.